The Brazilian landscape of Maraú, in Bahia coast. An ecological sanctuary surrounded by the Atlantic forest, where the Kiaroa Eco-Resort is located. The world's greatest party: Carnaval in Salvador, Bahia, the first capital of Brazil, founded in the 16th century. In the background, the historic Farol da Barra, the first lighthouse in America. 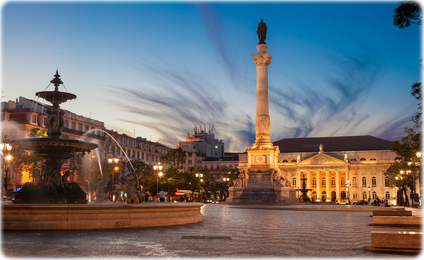 The city was the biggest port in the Southern Hemisphere, until the early 19th century. The total energy of the Carnaval in the Brazilian's first city was registered by Charles Darwin, in 1832, when the famous naturalist enjoyed the party. 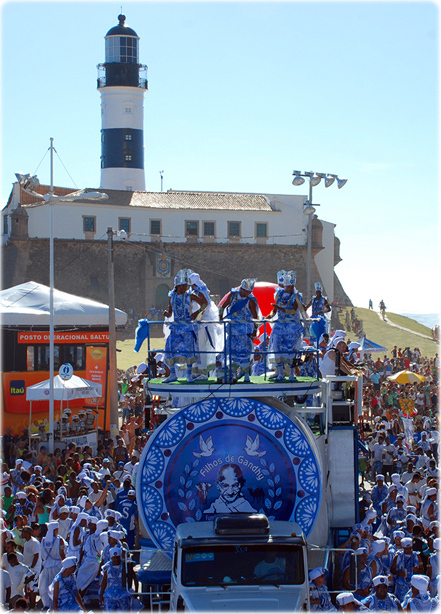 Since then, Bahians invented the Trio Elétrico (seen above), that is a mobile stage, full of musicians, that goes around the crowd. More than two hundred of them enliven the party. Bahia is the cradle of samba and capoeira. 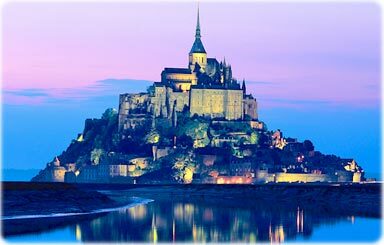 It is the land of great poets, writers, artists, filmmakers, musicians and engineers. It is the birthplace of Jorge Amado and João Gilberto, the Bossa Nova's creator. Its wonderful beaches, its gastronomy and its historic heritage also help the city to be one of the top tourist destinations in America. 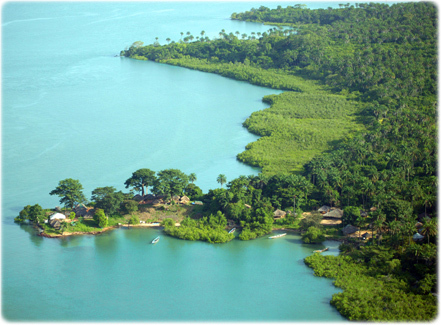 A paradise in the Bijagós Islands, Guinea-Bissau, Africa. It is also a Biosphere Reserve in the Unesco list (Photo Helio & Van Ingen, Orango Hotel). 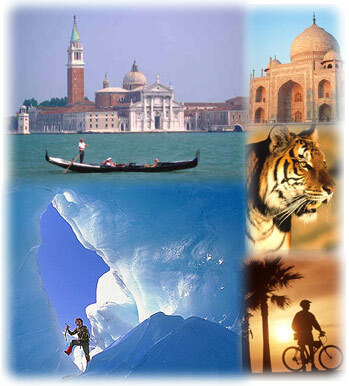 About the Geographic Guide, Tourism and Travel.